Ghost went from Mercyful Fate meets the Beatles, added some old Kiss and a little ...ABBA on Prequelle Album. Some songs are too 70's radio pop, a little bit cheasy but Prequelle is a great grower album. 8 !!! More consistent than Melliora, which was a good album too. I really like this album. 8 !! It seems like History repeats itself, every so often it happens again and Ghost seems called to be the new great attraction, I dare to say that it looks destined to be the new Kiss. This album is all about its sweet melody and some frankly good lyrics, very intense. It's true that Metal is missing. 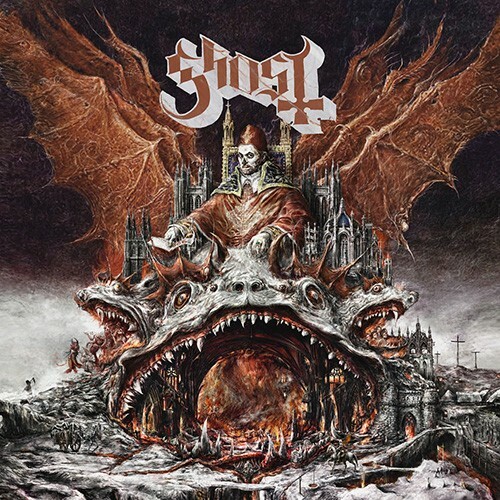 It seems to me that Ghost has made with "Prequelle" his best album until now. They were a good band years ago. But this album sounds like abba.